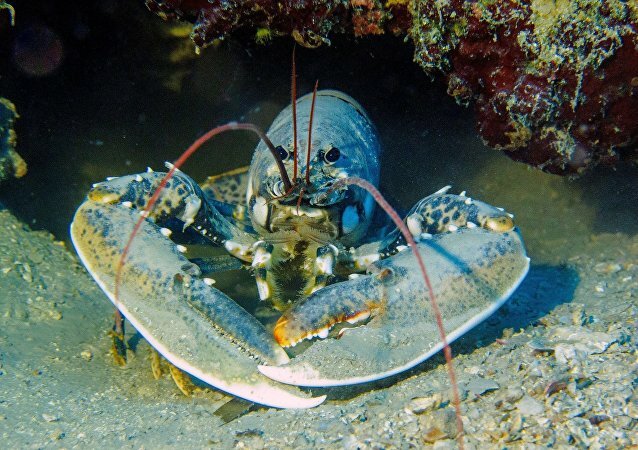 The rare genetic mutation renders the shell of lobsters transparent, making all of its internal organs visible. The odds of catching it are close to zero. Divers in Tasmania have discovered a new population of one of the rarest species of marine life - the red handfish (Thymichthys Politus). This is a major breakthrough for the species. Moscow Region biologists discovered a black stork's nest; the bird features on the Red List of Threatened Species in Russia, Belarus, Bulgaria, Ukraine and some other countries. A group of Costa Rican scientists discovered a specimen of a frog that was believed to be extinct since 2014. The discovery gives hope that the species, endemic for the Central American country, could be restored. The remains of what was thought to be a Baird’s beaked whale washed up on Alaska’s St. George city shores, in the Pribilof Islands, some two years ago. But a new study has found that it was not a Baird’s beaked whale, but a previously-unidentified species of beaked whale that inhabits the North Pacific Ocean. The Indian government is stepping up efforts to conserve the critically endangered Great Indian Bustard. But the outlook is bleak: less than 300 remain and breeding them in captivity is not an option as four decades of efforts have failed.